We’ve been working on a new keyword tool and as the latest round of changes to the keyword planner come into place it’s made it increasingly clear how much this is needed. Luckily that’s exactly what we’ve been working on. And we want to know - what does the ideal keyword research tool look like to you? Using our customer feedback as well as conducting competitor analysis on keyword tools around the web, including the Google Keyword Planner. All of this has led us to the conclusion that we need to think about keyword research a little differently. Here are our findings so far. We found that keyword tools are broadly split into two categories, those that concentrate on just giving you the data and nothing else and those that aim to create a complete keyword experience. Tools that give you the just the data are great for importing keywords in, getting the volumes you need out and then going on to process that data elsewhere such as excel. But they don’t do much else (not so great for exploring markets and broader research). The other category are those tools which create a more powerful experience, with more metrics, trends and analysis. But these can be confusing to use and sometimes have unclear workflows and difficulties with just diving in and quickly grabbing data when needed. Often great to look at but harder to use. The Google keyword planner actually occupies a less common third space, you get top level metrics but not the data to drill down in more detail. It's also become increasingly hard to use and frustrating to get the information you need from it. So it's not winning on either front. What we are aiming to do is create a keyword tool that displays the data you need in an easy to access way, allowing bulk imports from CSV and copy/pasting keyword lists for bulk research, but also providing fantastic keyword insight every time you search. We’re separating out keyword specific metrics and returning these at the top the page, including aspects such as keyword trends and the difficulty of gaining an organic ranking for that keyword (based on live search data). Beneath this we will return the full search results for the keyword, clearly showing the raw data which you can export in one click or save to lists within the tool. We then show the most common searches for different sources such as Amazon and Youtube alongside this data. This gives you a clear and detailed overview of the niche as a whole. We're really thinking about how best to gain an instant understanding of a search term and the market that surrounds it. This means we're including data such as trends, but also showing information from different sources on the same page. Alongside this, we're also adding some additional metrics, alongside existing ones. 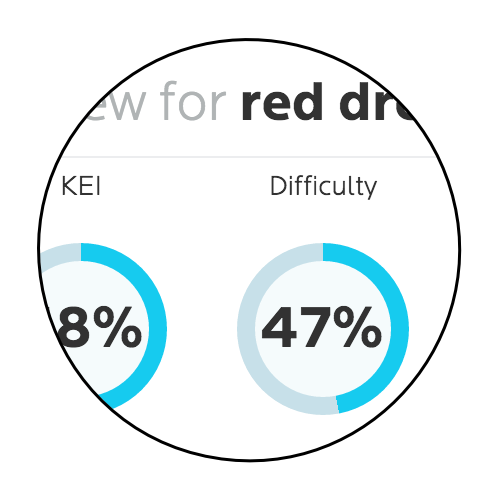 This includes the new difficulty metric which is a reflection of the strength of the sites that rank for that keyword. We're also retaining old metrics like competition, IAAT and KEI. 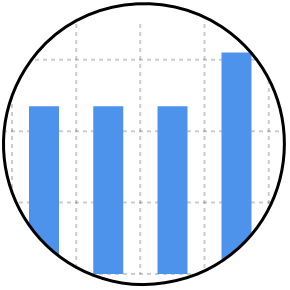 Live metrics are more fluid, you may find that these have some variance. Leaving traditional metrics allows for easier comparison, especially when building a project over a few days or weeks. This also means that projects and lists from the old keyword tool can be easily used within the new keyword tool. Any existing customers will find that all their existing data is retained. In fact we're aiming to create a system where anything saved in one tool will automatically update in the other, so it's possible to swap back and forth until comfortable using the new tool. Doing my own keyword research I often find myself Googling for a search term to check what the SERPs look like and gain a quick overview of what the search results look like. It’s often the quickest way to quickly see if a keyword really is worth targeting. This is why when you search in the new tool we also return the SERPs along with supporting metrics. Want to see the snippet for a result? Just click on it and we expand it out so you can see what the site is about. 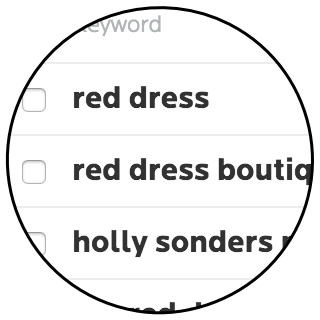 We’re working on this right now and this piece is about letting both existing customers and those who are interested in a new keyword research replacement that we’re working on it. If you want to get access as soon as possible you need to be a keyword tool subscriber and you will see a link to swap to the new tool as soon as it’s available. The thing is, we want to provide the best possible tool we can for you, our customers. We can't do that without your help. So I'm asking that everyone who has an idea for what they would like to see in a keyword tool to let us know in the comments below. We'll be reading through them and may well be in touch for more information.